New in 2010. It's easy to sum up what makes 'Easy Does It' special - tolerance of black-spot is the main reason - though not the only one. 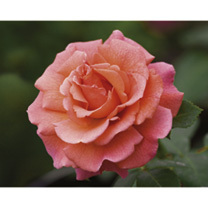 'Easy Does It' has beautiful, flamboyant, frilly blooms and masses of them. They are a cascade of colour starting in scarlet, then moving through orange, apricot, raspberry and finally, just before the bloom finishes, light pink. Scent 5. Colour - orange & pink. Height 90cm. Bush variety. Ideal for beds and borders, or in groups. Scented. Prefers full sun or partial shade.